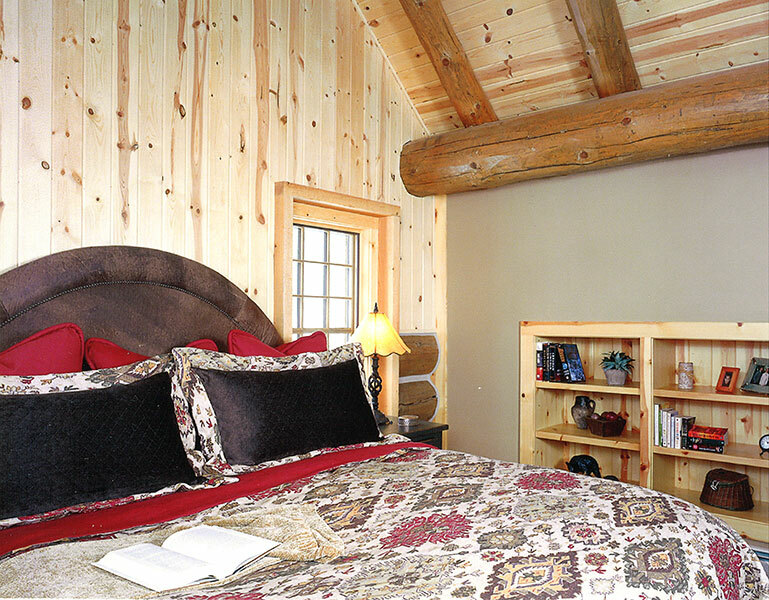 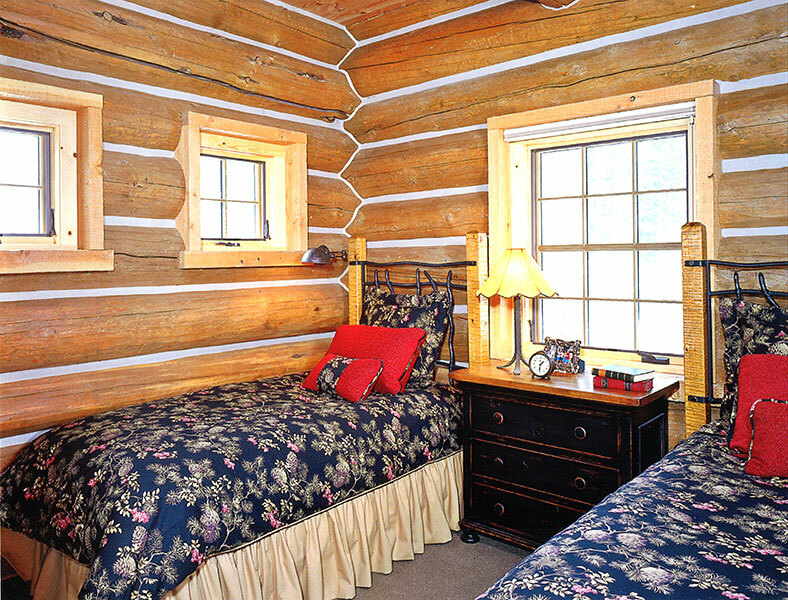 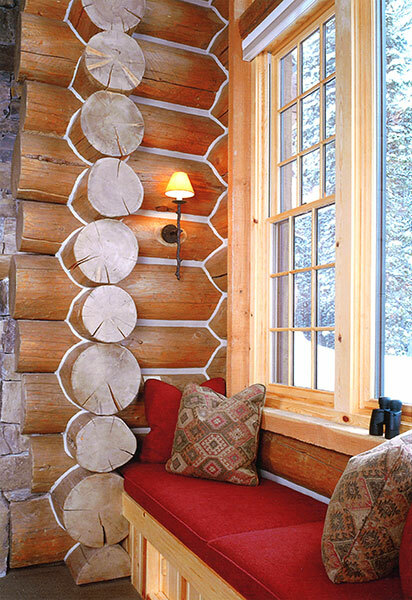 Oversized logs paired with traditional design and hardware lend the space a cozy, intimate feel. 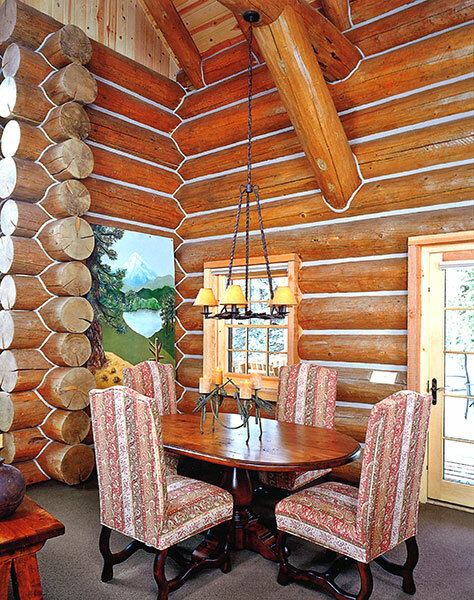 When the owners of Mountain House envisioned their lakefront Montana getaway, they wanted to create a modest 1,850-square foot log cabin that looked expansive and lofty, but felt intimate and cozy. 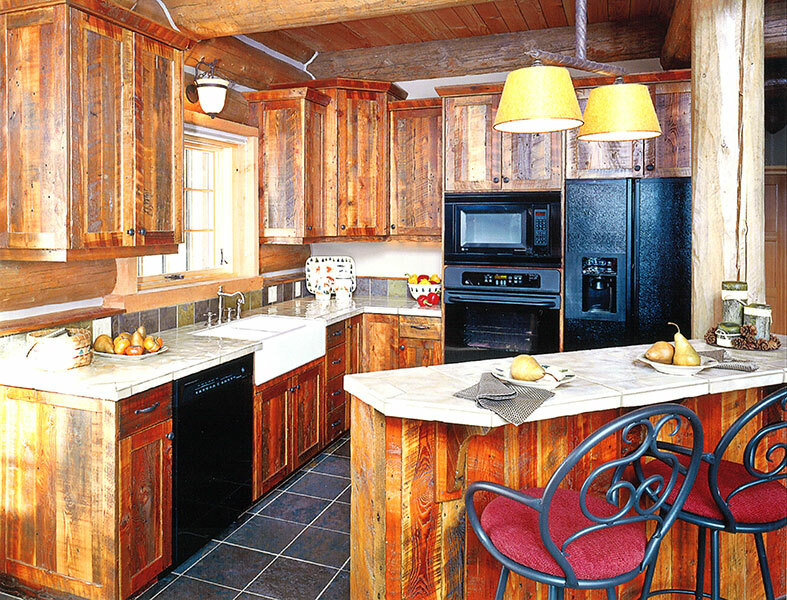 A dynamic collaboration between the homeowner, architect and Blue Ribbon Builders resulted in everything the clients wanted, and more. 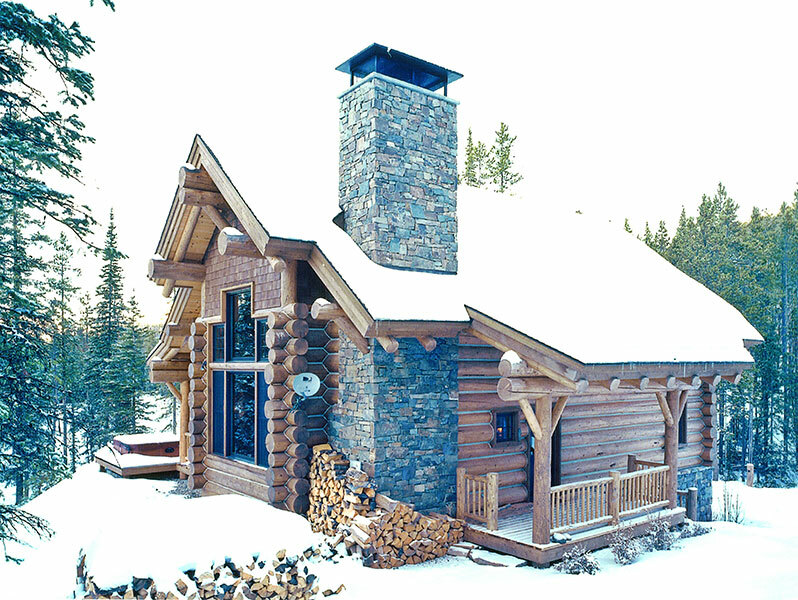 Natural materials—including magnificent Douglas fir and lodgepole pine logs, cedar shake shingles, and Chief Joseph ledge stone—contribute to both the home’s beauty and functionality. 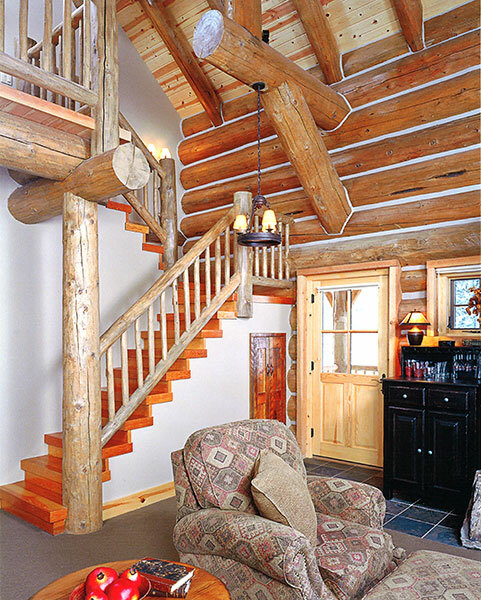 Oversized logs create a cozy feel and exquisite detail work, like scribed saddle-notch corners, perfectly suit the owners’ individual style. 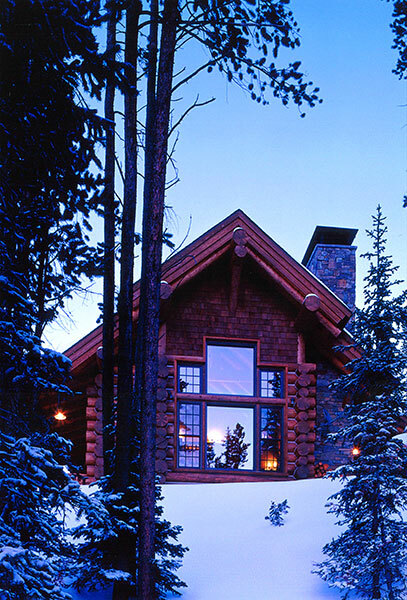 Though Mountain House looks, from the exterior, like classic Montana architecture, the interior reveals an even richer, more personalized style.Located on a high alpine peninsula—surrounded by mountains, forest and water—the orientation of the house was critical. 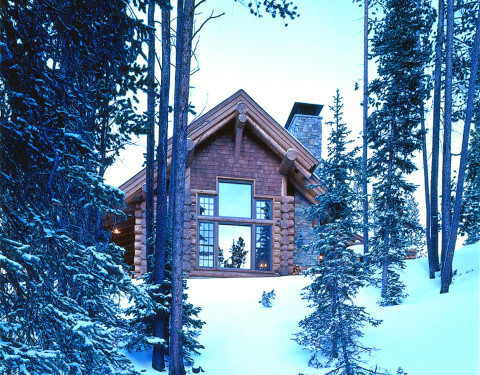 Blue Ribbon Builders was able to determine the ideal site taking into consideration both technical and aesthetic demands.